Two years ago, MnDOT installed a series of electronic speed limit advisory signs over Interstate 94 between Minneapolis and St. Paul. The Variable Speed Limit (VSL) system is designed to reduce congestion and help prevent crashes by recommending lower speed limits to motorists during periods of high traffic. The new technology has worked in other places, including China and Germany. In Minnesota, a similar VSL system on I-35W reportedly had moderate benefits in reducing the total amount of congestion during the morning commute south of Minneapolis. Although the verdict on I-94 congestion is still pending, a newly released study has found that the new system has not made a measurable impact so far on crashes in an accident-prone stretch of freeway in downtown Minneapolis. Why not? University of Minnesota researcher John Hourdos has a few theories. One is a simple time lag in the congestion reporting system. Another is a requirement that all lanes display the same speed limit, which he said causes confusion when only one lane is actually congested. The complexity of the I-94 commons also appears to be beyond what the VSL system was designed to do. And according to Hourdos, one of the most significant problems is the driving public simply doesn’t understand what the signs are telling them. The I-94 Commons area has a major bottleneck where the I-35W northbound ramp merges with I-94 westbound (between Cedar Avenue and 11th Avenue). Vertical red lines indicate locations of gantries that display variable speed limit advisories. The advisory speed limits are posted in response to varying traffic conditions. As vehicles approach the commons area, the system measures speeds at the bottlenecks. If the traffic slows, the system transmits a reduced advisory speed to drivers approximately 1.5 miles upstream from the location of the slow-down. Hourdos said many motorists mistakenly believe the speed displayed on the signs is either a reflection of the speed on the current stretch of highway or an indication of the speeds on the highway ahead, rather than a suggested speed for them to follow. The requirement to display the same speed limit on all signs also compounds the problem, Hourdos said, because when drivers see that the slowdown is only occurring in certain lanes they tend to ignore the signs altogether. 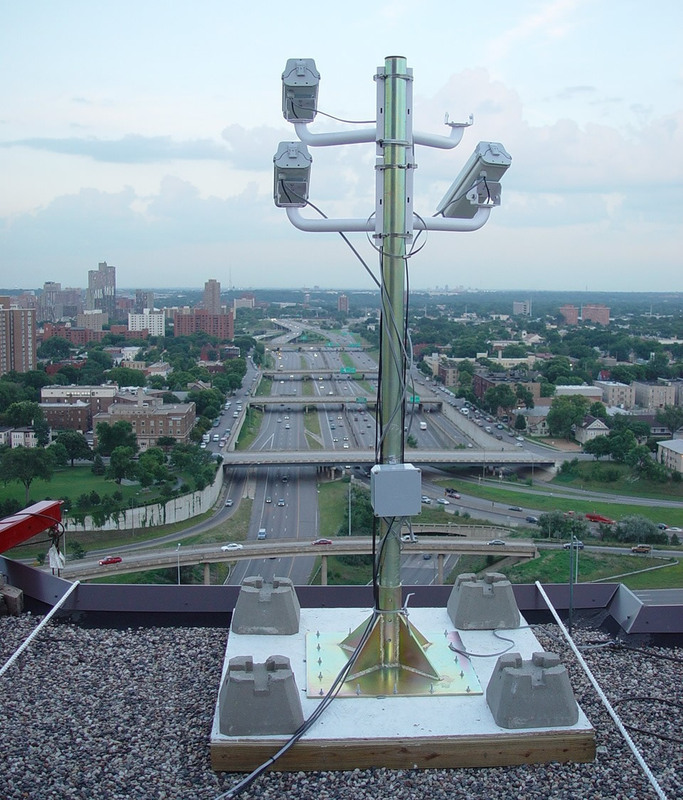 Data was primarily collected via cameras at the I-94 Commons’ Third Avenue Field station, overlooking an area with a particularly high crash rate. So is the I-94 VSL system useless? Not necessarily. For one, the new study didn’t measure the system’s impact on congestion — only its ability to reduce crashes on a small portion of I-94. Moreover, the area in question, the I-94 Commons, is fairly unique, having two major bottlenecks, the highest crash rate in the state (nearly one every other day), and five hours of congestion during the afternoon rush hour alone. “The VSL system was designed for implementation on any freeway and may not have been well-suited for the I-94 Commons area, which is a very complex corridor with high volume weaves and significant shockwave activity,” said MnDOT Freeway Operations Engineer Brian Kary. Generally speaking, the VSL system was designed to identify slow traffic ahead of where free-flowing traffic is approaching slow or stopped traffic. MnDOT and the researchers aren’t giving up, either. A new project is starting later this year to develop and deploy a queue warning system specifically for this high-crash rate location.